Once you're hooked, you won't find anything better! 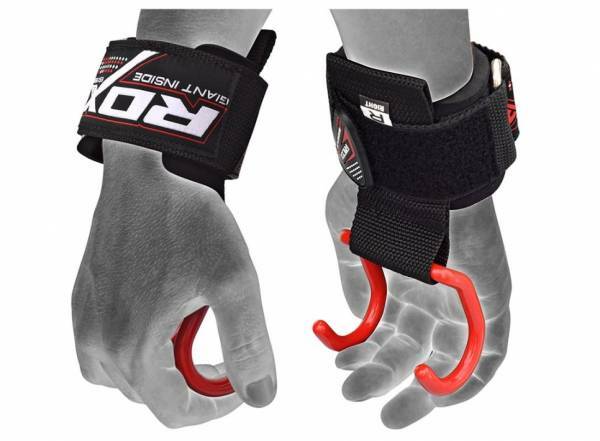 RDX's new, hi-tech neoprene wrist strap with heavy duty red-oxide and non-slip coated hooks were designed for weak grips, taking the load off the hands and transferring it to the wrists, lower back, and shoulders to maximize your lifting experience with each rep. Made using durable neoprene and padded on the inside for shock-absorption; the nylon strap measures 24.5cm x 5cm and is easily adjustable with Quick-EZ hook & loop closure srap and heavy duty hook and loop buckle. Make the most out of each lift by targeting all the appropriate muscles.